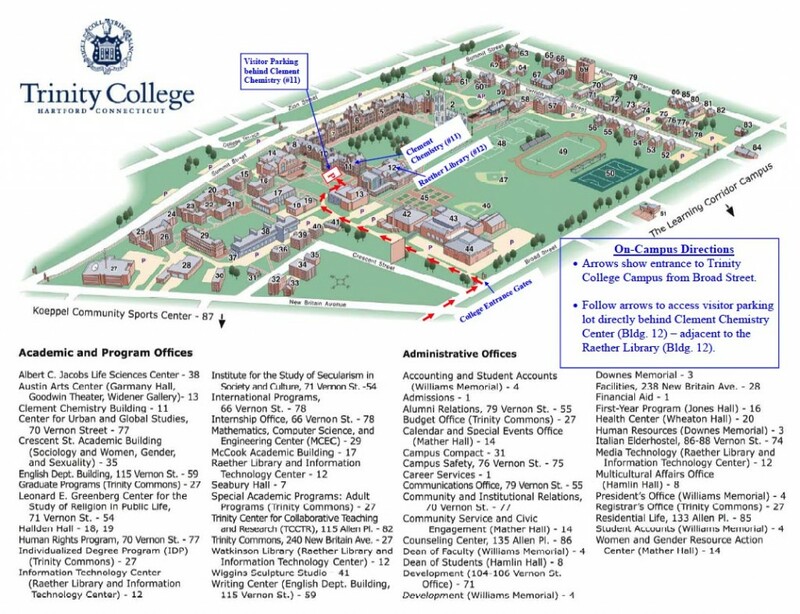 For an online campus map, please click here. For directions to the Trinity College campus, please click here. For more information concerning Hartford, places to stay, and other campus maps, please click here.